After completing a couple marathons, I came across Hansons Marathon Method, written by Luke Humphrey, with its promise of improvement with a 16-mile long run. A lot of the marathon training programs I had been seeing online were starting to look the same. I wanted to shake things up a bit. I had heard good things about this book. The Amazon.com reviews are mostly positive. The biggest difference between Hansons and more traditional running programs is the long run tops out at 16 miles. They want that 16 mile run to simulate the last 16 miles of your marathon, not the first. You are not intended to run it on fresh legs, much like the last 16 of the marathon. They use cumulative fatigue to do this. The book certainly has the approach of running more often during the week and more miles overall. I had to ease into running six times per week as I had never done this before. This might be too much for some people. Fortunately, I got used to it. I also got used to the overall volume. One of the big things about the training that may be helping people is the increase in mileage itself. I felt like the book itself was an easy read even with some of the running science terminology. The book is also concise. I still use it frequently as a reference. The results? I ran a PR after applying their training. I improved my previous time by about 17 minutes. After that, I decided to ramp up my paces using the same training for my next marathon. Again, I improved my PR by about 18 minutes. HansonвЂ™s Marathon Method definitely works for me! Questions or comments on this book? Leave a comment! 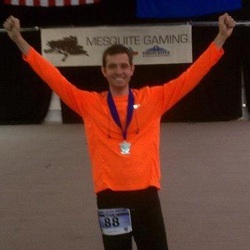 I ran the Mesquite Tri-States Marathon in 2012. This was actually my first marathon. I am writing this review after having completed five marathons so I have a little more perspective. 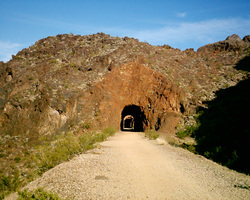 Mesquite is small-ish town in Nevada about an hour away from Las Vegas. For the 2012 marathon, the event was run by the Casablanca hotel. They are no longer running the event. It is now run by Planet Ultra. The organization of the race by Casablanca was okay. There were plenty of hotel deals in Mesquite. The race swag wasnвЂ™t great. The shirts were plain. The medal was very cool though. IвЂ™m sure it will be better with Planet Ultra involved. 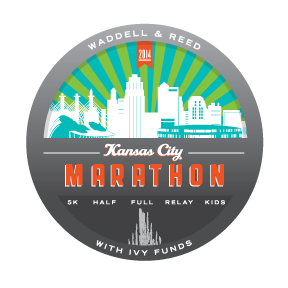 If you want a low key race with fewer participants, fewer spectators and a great course, then this race is for you. I actually remember chatting with another runner during the marathon saying she specifically chose this course because there would be fewer people. В Everyone running was very nice and I made some new friends. The aid stations were stocked decently. I have seen better but I didnвЂ™t know any better at the time. The volunteers were outstanding as always though. This unique Tri-State course with lots of downhill is great choice, especially if youвЂ™re looking for something less crowded. It was a great easygoing race for this first timer. I ran the Pocatello marathon in 2013. I was supposed to run it in 2012 but I had emergency surgery to have my gallbladder removed one week before the marathon! It was incredibly disappointing to not run it after all the training I had put in. It was nice to redeem myself in 2013. 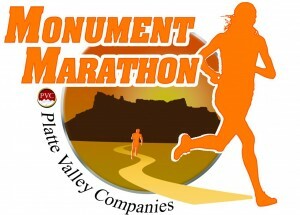 Pocatello is a small town but this is a top of the line marathon. There are a lot of good things to say about it. The price of this race is an incredible value compared to what you get. The race bag, personally tagged with your information, was an Adidas sling bag (very cool!) and you get a sack of potatoes (very Idaho). Actually, the volunteers told me to take more bags of potatoes since my kids were doing the kidsвЂ™ races. On that note, I would like to say that all the volunteers, people working the race, and even residents of Pocatello were incredibly NICE. There is such a warm, pleasant, and courteous vibe there. The bus ride to the starting line went smoothly. The buses ran on time and were comfortable. We arrived at a random farm that served as the starting line. There were plenty of port-o-potties. It was a fun feeling being gathered with a bunch of runners at this out-of-the-way spot in the dark. We started the race running downhill. In fact, the first half of the marathon is downhill (with small exceptions like a short out and back). My plan on the downhill was to run close to my target pace but run comfortably. I didnвЂ™t want to expend energy trying to slow myself down. I believe this worked for me because the effort felt the same as the effort I give during an easy run. I can see how the downhill can lure people in to running faster than they should. The second half of the race is much flatter and thereвЂ™s a decent hill at mile 21 that took a bit of wind out of me. The aid stations were well stocked with provisions and enthusiastic helpful volunteers. After I finished and rested for a bit, they held the kidsвЂ™ races. I love it when kidsвЂ™ races are held. I think it gets the whole family involved. It also promotes an active lifestyle, especially running, for kids. Two of my kids did the вЂњ.2вЂќ race. They had an absolute blast. For the finish line, they ran through the mouth of an inflatable tiger head (the ISU mascot). Each kid got their own medal and a slice of pizza. Which do you think they liked more? With the registration, each kid also got their own race tech tee and sling bag (not the Adidas one). This is such a value for a very inexpensive kid race. My oldest child did the 1.5 mile kid race. She is 8 years old and felt like вЂњ.2вЂќ was too short. I guess she already has the runner mentality! This race is timed, as opposed to the .2 race. For this race, they get to run through the actual finish line. It is fun to see everyone on the sidelines cheering for every kid. My kids ended up using the bounce houses until the workers took them down. Meanwhile, I got a massage from a DoTerra booth. Overall, there are so many good things to say about this race. It also helps my attitude that I set a PR on this race. There is such a great atmosphere. I ran with many friends and family (including my sister-in-law for her first marathon). The fact that the race is held on Labor Day weekend really makes it convenient too. I hope to do this race again in the future. Even though the race was held in December. The Boulder City, NV weather was absolutelyВ perfect. Normally, I prefer when races don’t have laps. My favorites are point-to-point. However, I enjoyed the two laps on this race for two reasons. 1. The views are so good, you have to do them twice. 2. 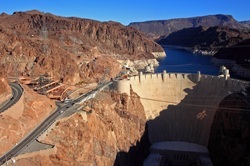 I was so focused on the race that on the first lap, I missed the view of the Hoover Dam! Fortunately, on the second lap, I made sure to get a good look. Occasionally someone will mention that they’ve seen me out running and ask if I’m training for something. When I tell them I run and train for marathons the conversation generally moves toward how awful or difficult or boring or impossible running 26.2 miles seems to them. What I can’t explain to them is that the marathon is more of a victory lap than a punishment. A victory lap for all of the hard work, dedication, time management, commitment to nutrition and regular sleep and perseverance through dark, raining, cold mornings for months and months. A victory lap for completing something that is awful and difficult and boring and sometimes seems impossible: the 20-mile long runs. Good Samaritans holding signs that read “We don’t know each other, but I’m proud of you” at the point when you want nothing more than to quit but know you can’t. And won’t. The 20-miler early on a Saturday morning is a lonely, grueling experience but it must be done. Multiple times even, depending on your particular training schedule. It’s not fun. It’s not glamorous. No one that sees you knows if you’re in mile 2 or mile 18. But it’s necessary. It’s the run when your mental toughness is put to the test. 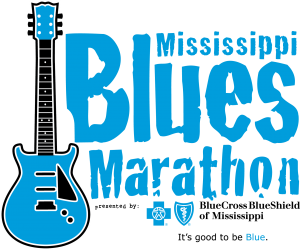 26.2 miles will be more physically demanding due to the number of miles, but if you can mentally will yourself through your 20-milers you’ll be more than prepared for the physical challenge that awaits on race day. Prepare for your victory lap.